30 pitches are available. All feature hard-standing bases with electric hook up points. Each pitch has a lawn area and space to park your car and pitch your awning. 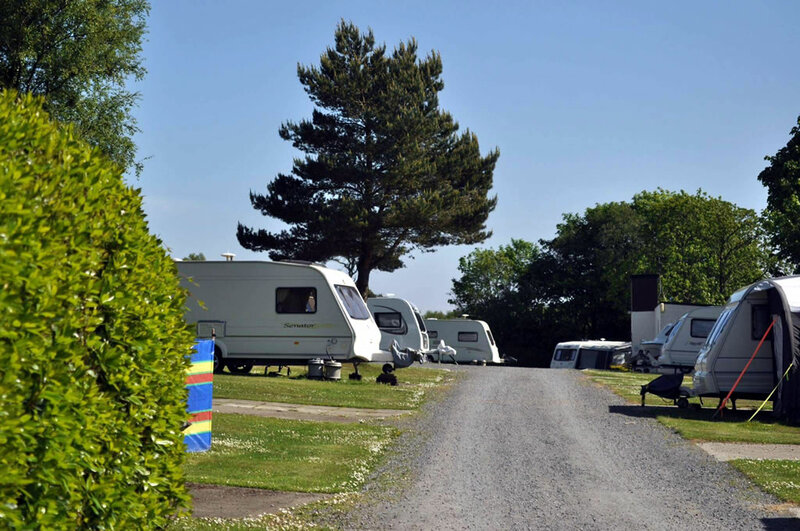 Drumlochart Holiday Park is near a wealth of interesting activities. Visit nearby towns, discover our local history, or encounter beautiful wildlife. Our recently refurbished shower block is for the exclusive use of our touring guests. They are kept spotlessly clean and feature toilets, hot showers, and hair dryers. There is also a separate outside dishwashing area. The laundry room features commercial-sized washing machines, a tumble dryer, a separate washing sink, and ironing facilities. Due to popularity, it is essential to book your pitch in advance. It is possible to leave your caravan pitched for a full season with winter storage. Don’t hesitate to get in touch for more information regarding our affordable pricing. All charges include VAT, electrical connections, toilet facilities, the use of the pool, and the use of the lounge bar facilities. Fishing is also available at a rate of £15 per day. Boat hire services are available for just £5 per 2 hours. Conditions apply. The Holiday Park is dog owner friendly with no additional charges included. Don’t hesitate to contact our office if you wish to reserve a pitch. A £50 deposit is required to secure your pitch. The balance is payable upon arrival. Please make any cheques payable to Drumlochart Holiday Park.